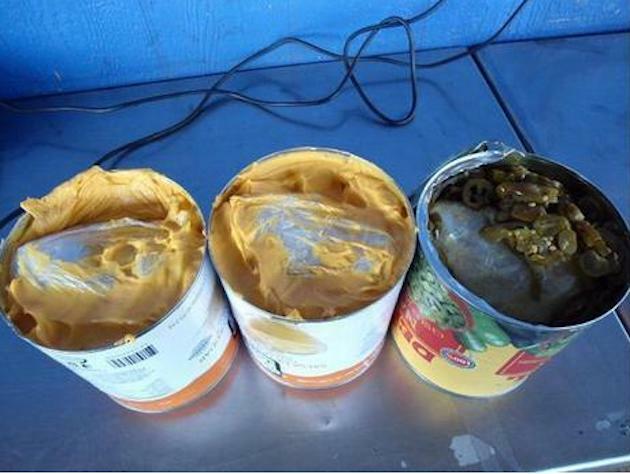 Customs and Border officials nabbed a 21-year-old Mexican citizen this week on suspicion of smuggling $140,000 worth of methamphetamine in these three cans of liquid nacho cheese and jalapenos, the LA Times reports. Incredibly, this is not the first time nacho cheese has been used as a smuggling tool. In October, a customs officials found 7 pounds of meth hidden in nacho cheese cans, NPR reports.